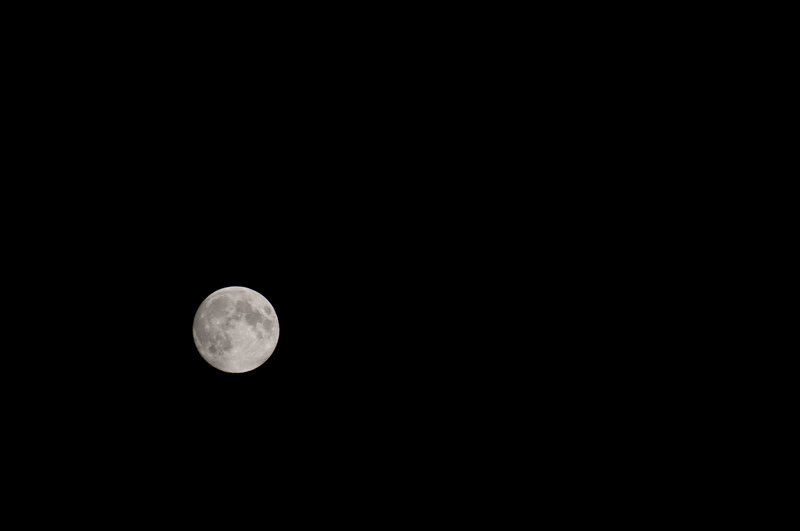 Shot with a Samyang 800 mm f8 mirror lens. 1/800 sec and ISO 1600 (could/should be quicker than 1/800 sec, but then you have to crank up ISO quite a bit.). 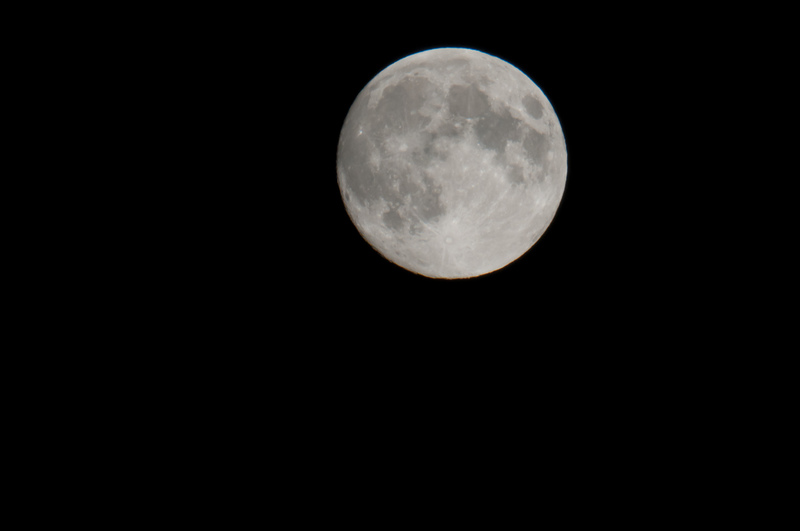 Of course I used a tripod, remote and mirror lockup to reduce vibration. Oh yes, and the Samyang is manual focus only 🙂 It’s not completely sharp, and I think this is as good as it can get for about 240 Euros (which was the price of the lens). Look at that tiny moon ! 🙂 300 mm, 1/1000 sec, f5.6 ISO 400. Sharp. Tomorrow it’s full moon, and if there are no clouds like today I will be again out in the field.